One problem many marketers face when they are starting out in online business (or when business is floundering) is budget. It can feel more than a little uncomfortable to be forking out countless dollars on marketing schemes with no guaranteed outcome. Even if you do have the budget, there’s no rule that says you have to spend it. The good news is there are actually many ways to get free advertising and promote your business effectively. You just need to know what you’re doing… and that’s where we can help you out. …to Promote Your Online Business! 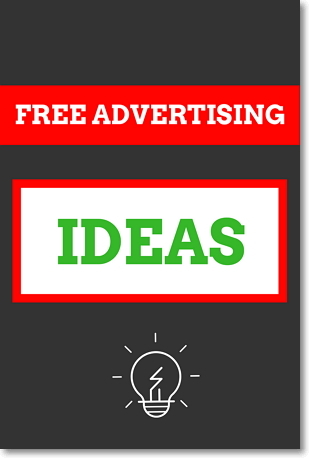 How to Advertise Your Online Business for Free? I have prepared you something. You can get over $500 in free advertising credits to promote your busines. Yes, that’s right. That means you’ll be able to promote your online business almost for free! A referral program is a cost-effective way to promote your business. By offering employees and customers incentives to introduce others to your business, you grow your business at no cost to yourself. A massage therapist could offer current customers a free session for every five new people they introduce. Write up a compensation structure and define the limits and boundaries so that the scheme is clear to all participants. Then you can promote the referral scheme via mail-outs and newsletters to your email lists. You should also post it on your website and social media accounts, and mention it to all staff and customers verbally. Email marketing is one of the most effective marketing methods, so you should always strive to expand on your email list. You can use a free platform like MailerLite to organise your lists, so there’s no cost involved there. 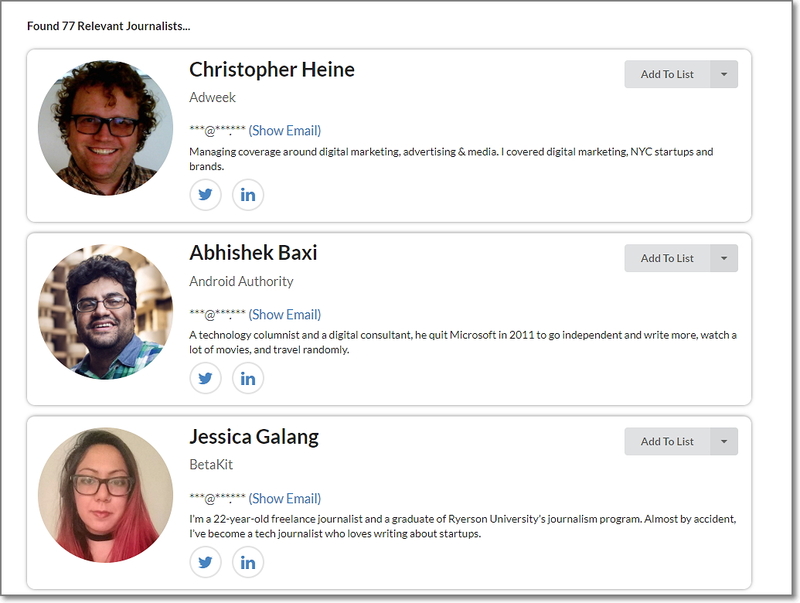 You can segment your lists according to customer types and their preferences so that your emails are targeted. This makes your mails more likely to result in conversions. 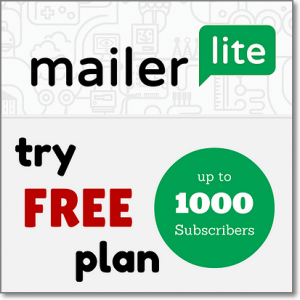 MailerLite allows you to analyse click-through rates and other data so that you know how successful your mail-outs are. Make sure you keep your lists updated at least once per week with news, offers, industry insights, discounts and more. There aren’t many marketing methods more convenient than getting others to do the work for you. People prefer to take recommendations from trusted sources, hence the importance of online reviews. These days, social media is a fantastic tool for gaining allies. You can find respected social influencers online and turn them into advocates of your brand. If you have created your own blog you can find influencers and bloggers with a good following relevant to your industry, and check that the content they put out is high quality. Build relationships with them by allowing them to try your products and services… if they like them, they’ll be happy to promote you. 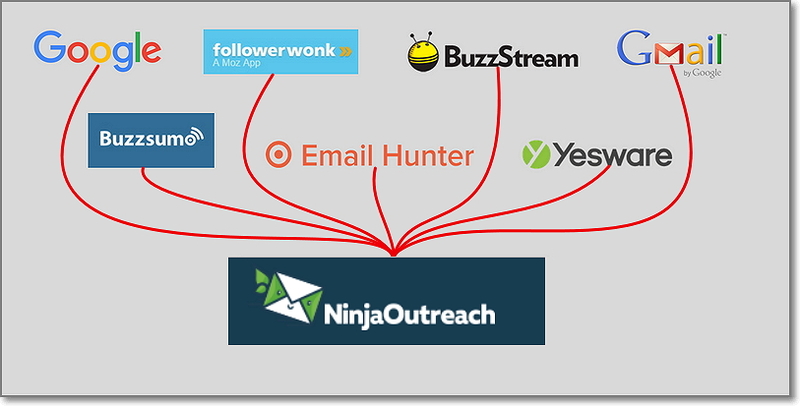 If you want to reduce the time spent doing outreach – I suggest you to use Ninja Outreach software. And it will help you to outreach to hundreds of prospects in just 10 minutes. Also, you can use this email verifier to very your outreach emails. If you’ve got a way with words, this is a great way to promote your business for free. Many businesses are looking for guest posters – it saves them the writing work and offers varied opinions and insights to the readership. Offering to write for free will help your content to reach a wider audience. Rather than scripting a sales pitch, it makes sense to offer the readers some kind of benefit. That might look like free information (e.g. your industry insights or experience) or an introductory offer. Make sure that you put a CTA (call to action) at the end, inviting people to your site, social media, or whatever suits. Podcasts are incredibly popular now; many people prefer listening or watching to reading, so if you can reach people this way, you should. They also respond better to a voice than text on a screen, as there is more personality present. When people feel like you know you in some way, they are more likely to remember and trust you. When you know your stuff, it shouldn’t be a problem to talk about it with an interviewer who will ask relevant questions. Research the best podcasts for your industry and contact the interviewer to offer your knowledge. It’s normal to say a little about yourself and your products and services at the end, so you shouldn’t be afraid of doing so. Contacting journalists is similar to the tactics you’re using when building relationships with influencers and bloggers. If you have something that people will genuinely be interested in, you may be able to find a journalist who is willing to say something about it. You can create a press release and send it around to different journalists; you might need to incentivize them somehow (for example, machine learning might be a hot topic for them), but this is all you’re doing with a referral scheme. It might just cost you a little bit of time or stock, at worst. 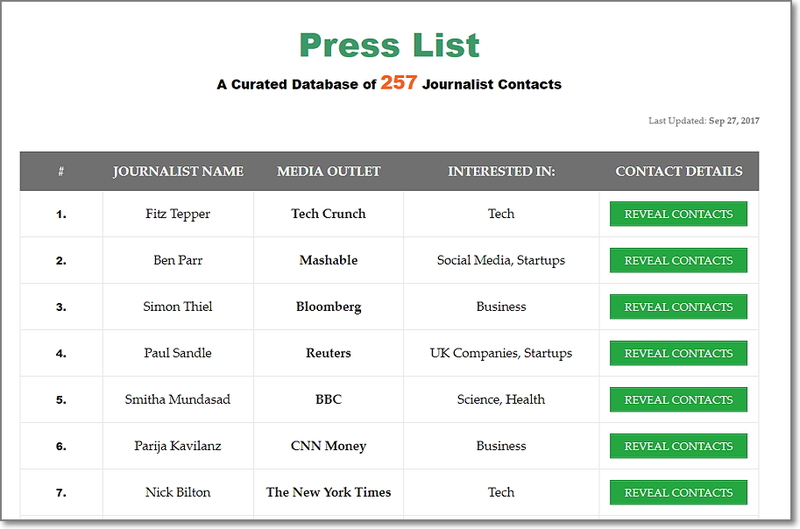 Press List is a curated database of 250+ journalists with their contact details. Or you can use a service called Jona which has over 7,000 journalist contacts in their database. The majority of the general public expects any self-respecting modern business to have active social media accounts. You should have Facebook, Instagram and Twitter as standard, but there are more, like LinkedIn and Pinterest – if you plan to take your online presence seriously. Social media is a great way to interact with potential customers, and they want to feel that they can contact you there any time… so always respond in a timely manner. These networks are great promotional tools and channels for customers to receive regular updates about your business. You should always aim to increase your following, and there are many ways to do it. Consider posting offers, captivating images, and interesting information. Competitions and giveaways tend to garner a lot of attention too. It’s not hard to find information online about events and conferences coming up in your area – or any area you’re prepared to travel to. If you can get a stand or table at one of these, all the better; however, this might be costly, so at least plan to attend the events and mingle with other attendees who may be interested in your business. Don’t forget to take along plenty of business cards and promotional materials, and to network with anyone who might be able to spread the word on your behalf later. If you know what you’re talking about, then get online and start talking about it. The internet is peppered with questions about your industry, and there are forums dedicated to almost every subject. Make yourself a member of these, or find the questions people have posted on sites like Yahoo and Q&A website Quora. The more you answer peoples questions, the more you’ll come across as an authority on your industry, and if you provide contact and business details, people are more likely to come to you in the future. Everybody loves an online tutorial – it really takes the pain out of research and it’s far more entertaining. Making your own instructional videos not only gives viewers the impression that you’re an authority on the matters you talk about (which hopefully you are!) – it also gives people a window into your personality… so be sure to come across as friendly and confident in your videos. If viewers can see and hear the person they’re learning from, they will feel that they have a connection of some kind with you. That elevates you to ‘trusted source’ status far more quickly than other methods. SEO (Search Engine Optimization) is a now household word, and it’s not one that businesses can afford to ignore. You need to familiarize yourself with Google’s ever-changing algorithms, which dictate how and where your business information appears in search results. You’ll need to choose keywords based on what people are searching for, and place them strategically in your online content. The way that you present information (and how much of it you put out) is also part of this. There are many online guides, so find a good one and learn the strategies. I suggest you use KWFinder software for it. Competitions and contests always work well; people like to win, and they like freebies. If you give people an opportunity to win something, you’re likely to capture their attention. You can create contests on social media, and encourage people to tag friends in the comments for a better chance of winning, for example. You could ask people to post photos of their most beautiful looking meal creations and offer the winner a meal for two in your restaurant. This way you’ll get lots of engagement and followers ongoing. You can also send out contests in newsletters and on your website. We all need allies in life, and it’s the same for businesses. Real estate agents are highly competitive, but they still partner with other agencies so that if one has a customer but not the right house, and the other has the house no customer, each can still earn some commission. That’s one example, but it makes sense and applies to most businesses. You could find another business within the industry that sells related products or services, and make an agreement to refer and promote each other to your customer bases when appropriate. It’s an, “I’ll scratch your back, you scratch mine”, agreement and it works well. So as you can see, there are many marketing strategies that you can use at little or no cost to your business. Many of them are very effective, if done consistently and with care. The more you save on your marketing bills, the more you have to spend on other areas of the business. That’s an awesome share. Connecting with people in meetups and local events is a new thing I learned from this post. And thanks for Social Stack. I’ll join it right away. Awesome tips! I had a zero budget when I first started blogging 5 years ago, and I used some of these tip (especially the tip about using social media) to help grow my business! Sound looks easy but it is very hard to implement. BTW, great ideas you shared. Wow! What a great treasure of ideas…can’t wait to try NinjaOutreach. Never heard of them! Another great way to build authority and links is by joining HARO (help a reporter out). You’ll be in their database to help press writers (some from huge companies…think Forbes and CNN) with quotes and questions from your field of expertise. Thanks again for some great suggestions! I would like to add one more point here, I personally have used one technique of creating PDFs of some tricks and tips related to blogging on each topics and I just send those to my subscribers. This also is one of the better methods that works for me. What are your views on this ? Great tips Marius. It’s true – when one is first starting out with a digital company their budget may be small or next to nothing. You really gave us some great ways to generate leads and traffic. I found Quora to be very good with that but I had to invest a lot of time before it happened. 6 months of answering questions daily. Luckily I found it fun and still try to do it to this day! That’s an amazing post. You’r post is really helpful for every online business persons in promoting there brands online. Out of all 13 ways Email marketing is one of the best option among all as it is very much helpful in reaching out to targeted customers at right time. Thank you so much for sharing such a wonderful information !